Something a bit different from me today, but fun nonetheless! 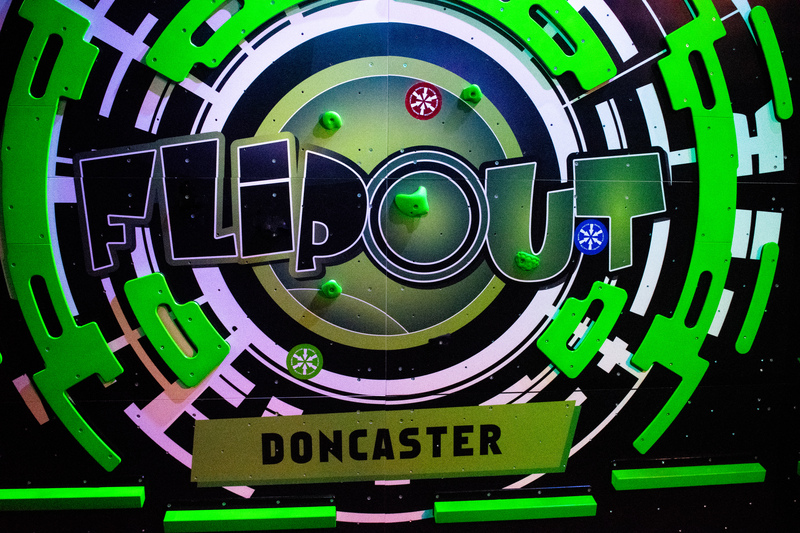 Recently, Flip Out invited me to the opening of their brand new trampoline park in Doncaster! Unfortunately, I wasn’t home for the opening, so they offered me the opportunity to visit any day in exchange for a review; and here we are! Zack and I decided to pop down and, to be honest, we weren’t expecting too much. 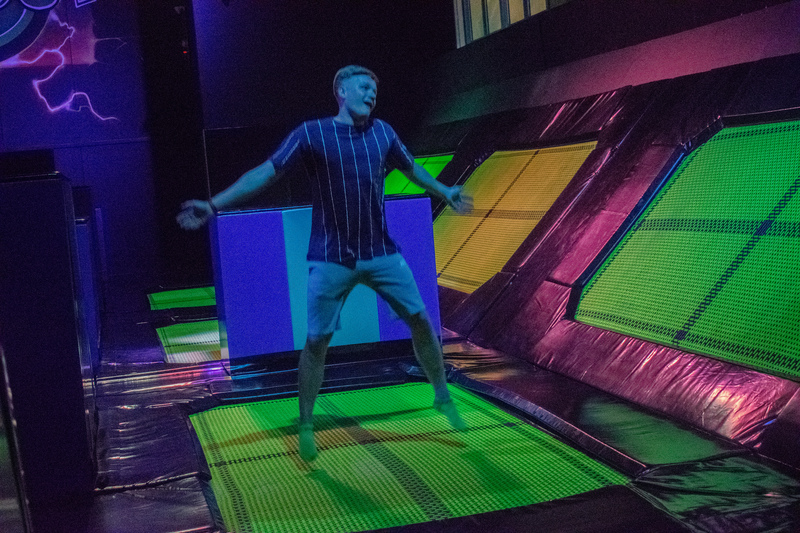 We’ve visited quite a few trampoline parks before and, although fun, we couldn’t see how this one would be much different! This one was very different to the others! Located in the centre of Frenchgate (where BHS used to be), you certainly cannot miss it! 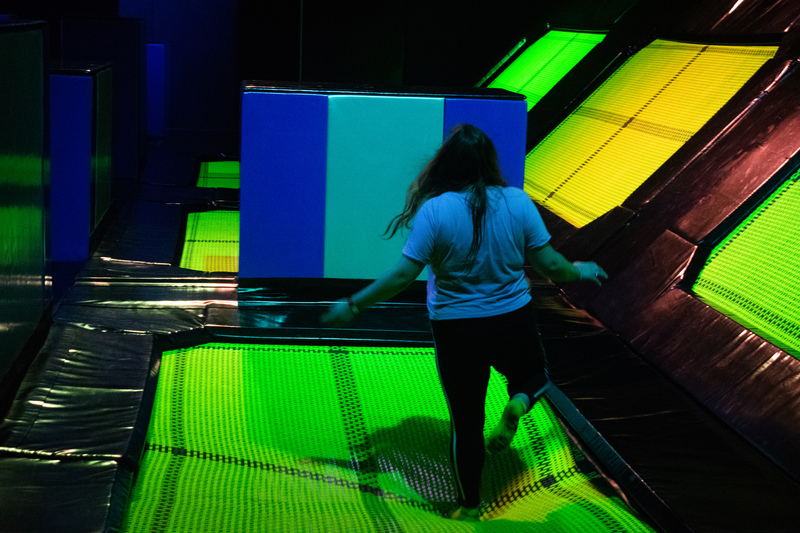 It is a bit weird bouncing around in the same place as where I used to buy my Tammy Girl clothes, I’ll admit, but you would never guess at what this used to be; it works perfectly as a trampoline park! When we spoke to friends and family and told them about our visit, they raised concerns about privacy and how it must be strange to be able to see straight in. However, this is not the case at all. You come into the park on a platform at a higher level and the actual park is below, so you cannot see from the actual shopping centre. Plus, there’s lots of staff around that are really keen to assist, so I definitely think any issues with this would be dealt with accordingly, I just wanted to address this at the beginning in case anyone was having similar concerns! The first thing that definitely strikes you about this place is simply how cool it is! The green and black décor work perfectly with the edgy corrugated iron parts, and just leave a great first impression! When we arrived, we were met by Laura-May who was lovely- nothing was too much for her and we certainly felt very welcome! We were shown to a little tablet to sign a waiver (easy peasy) and then to the locker room where we were to change into our special socks (and keep our belongings safe in the free lockers!) and await a safety briefing. 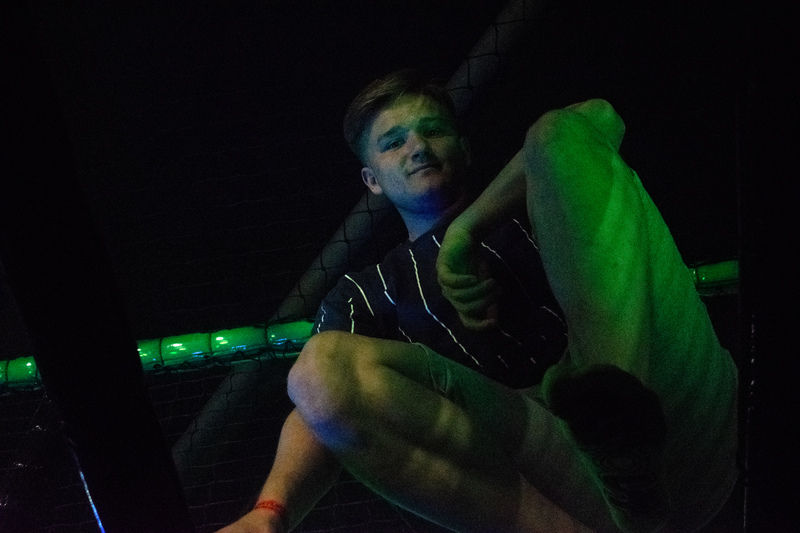 As I said, I have visited quite a few trampoline parks, and the rules are pretty standard and there to keep you safe. The briefing probably lasts no more than 3 minutes and the rules are super easy to follow; so no worries there. After briefing, we did a little warm up of stretches etc. These, again, were just basic but definitely useful to prevent any injuries. So, the first thing that hits you when you’re standing down there is just how many trampolines are there. 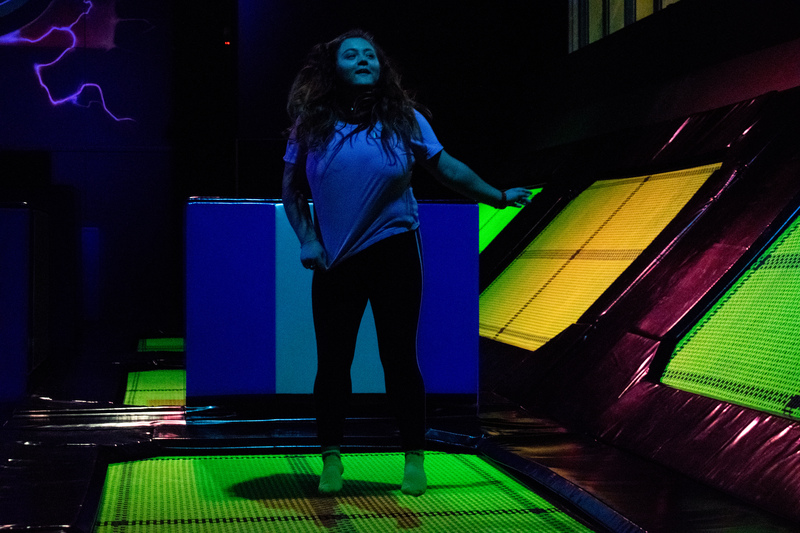 There’s definitely space for everyone and, as well as rather standard trampolines, they also stretch along the sides for tricks, and there are even the super bouncy professional style ones! These ones do have a height limit (presumably because they are SUPER bouncy), and it’s great that safety has been considered, as well as fun! I have honestly never seen anything like what Flip Out has to offer! There are foam pits, duel stations, and even a bouldering wall! There’s also ninja challenges to complete, and even a ninja course (the first ever in the north of the country, may I add!). 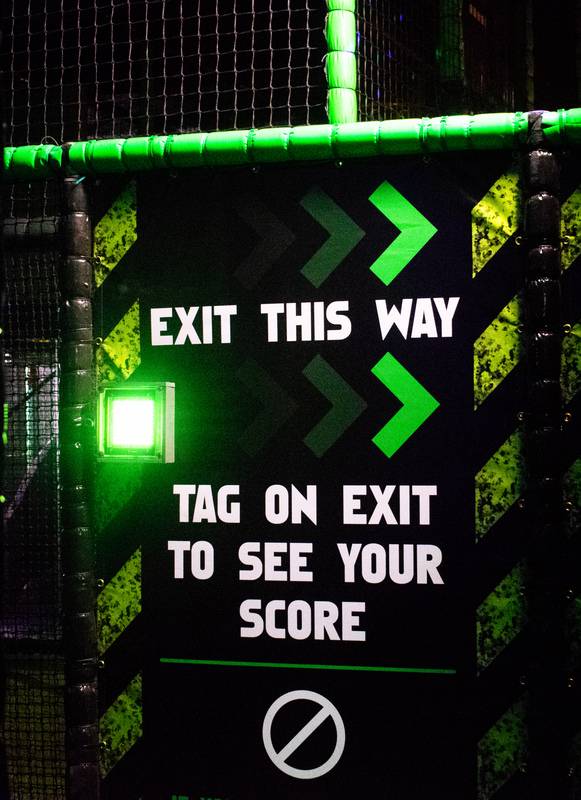 You could even digitally track your time, and try to beat the leader board! Although this function wasn’t actually switched on when we arrived as the park was very quiet, it seemed like such a cool idea and I’d definitely like to try it next time (and beat Zack, of course). 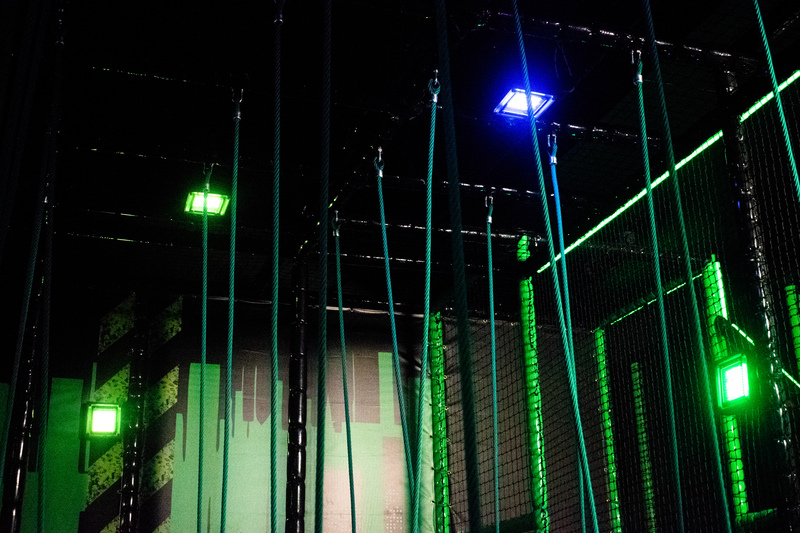 Zack and I were particularly fans of the ninja course; taking on the big red balls and the ninja wall that we’ve watched on TV were definite highlights for us (although they are DEFINITELY as hard as they look!). We also were big fans of the ball pool which we remarked was “like a spa without the water”. Maybe we’re not the best at similes, but you get the jist. Honestly, I felt like a child again. 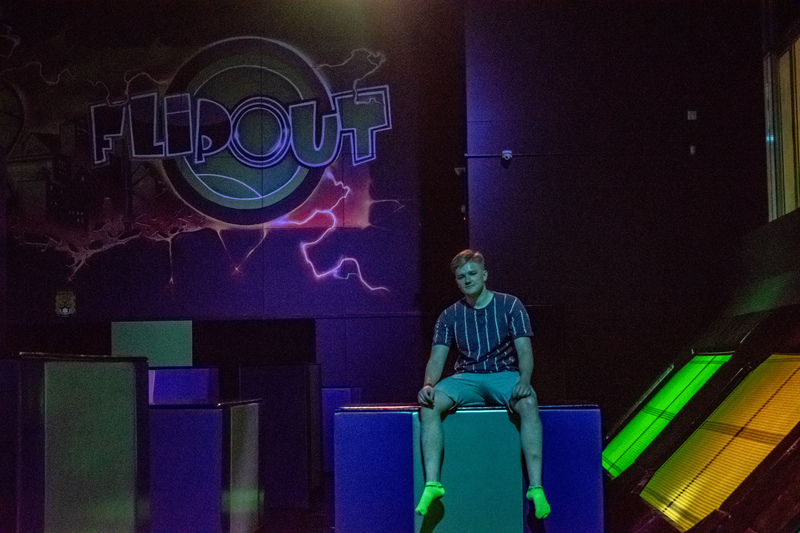 I hate to say it, but I can be quite reserved, shy and *sensible* at places like this, but there was something really special about Flip Out that put me at ease and let me have fun! I haven’t run around like that or laughed like that in so long, and I already cannot wait to go back! We also checked out the café briefly whilst we were there and everything was very reasonably priced, which is super rare for a place like this! Inside the café there is also a children’s soft play area, which is a really nice touch that I know my little brother would love! Price wise, you’re looking at around £10 for one hour and £15 for two, which is pretty competitive; especially considering everything that Flip Out have to offer! They also run special sessions eg toddler sessions and student sessions which have an even lower price tag! To be honest, I just feel like Flip Out have gone the extra mile. I definitely wasn’t expecting there to be so much available and to have as much fun as I did, and I know that this park is going to be a really popular asset within Doncaster (especially during the summer holidays!). I actually vlogged the day and that’s over on IGTV, so if you wish to give it a watch and see even more of Flip Out, you can do so here! 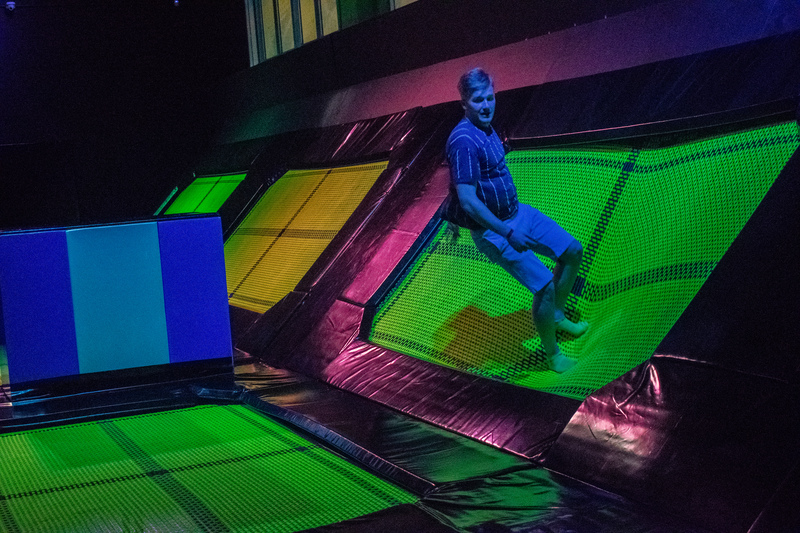 Have you ever been to a Flip Out park? They have one in Leicester, as well as many other locations in the country- I’m definitely going to be checking that one out in September! This experience was gifted in exchange for review, but all opinions are my own. For more information, please see my Disclaimer.